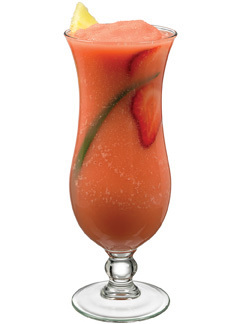 Pour Master of Mixes Strawberry Daiquiri/Margarita Mix into the base of serving glass. Combine remaining ingredients in a mixing glass filled with ice. Blend and pour over top of prepared mix.